Why is it irresistible for narcissists and codependents to get into relationships with each other? 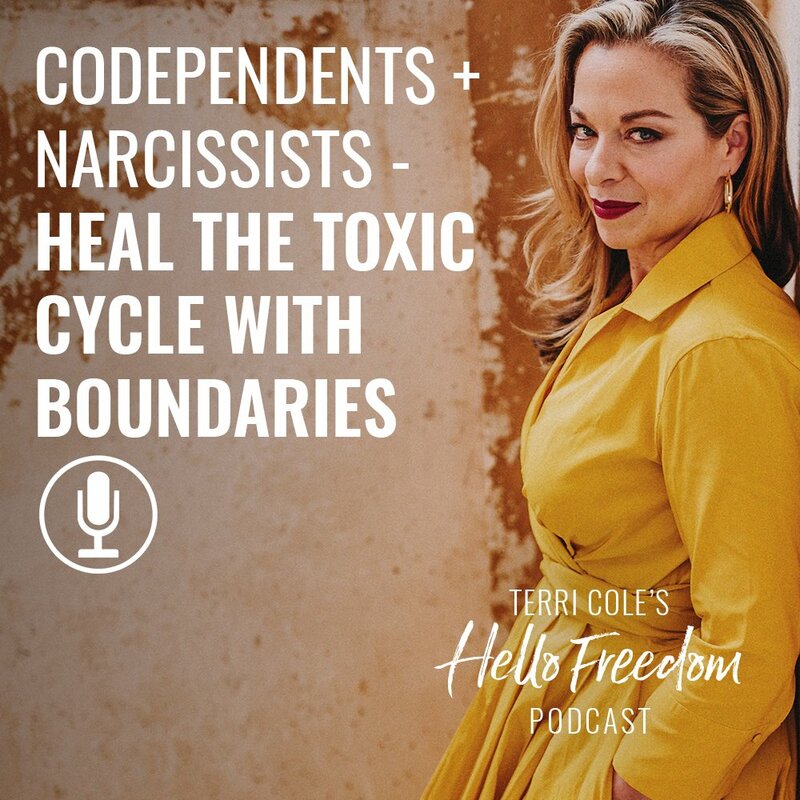 As we continue our conversation about boundaries, I talk about how narcissists and codependents can heal their toxic cycle with boundaries. 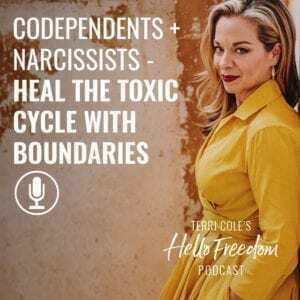 Many times, we don’t even realize that we are falling into a codependent and narcissistic relationship complex. On today’s show, I lead you through a 3-step process of how to become aware of this toxic cycle and heal it. Thank you Terri! Wonderful info and I have started small after being totally thrown off with a 30+ year marriage gone wrong. I am not sure where it will take me, but I have always heard if you want change, you have to look within. Thanks for your note and welcome to the tribe, Karen! I am so happy you’re on this journey with us.